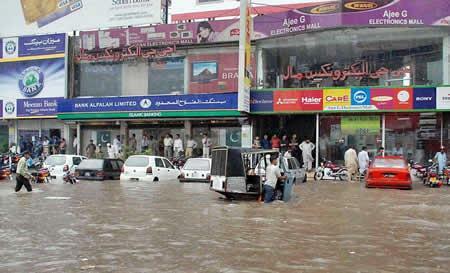 LAHORE: As many as 7,922 policemen across Punjab have so far evacuated 6,630 flood-hit people, including 29 families of Rahim Yar Khan district, 25 of Mandi Bahauddin and 20 of Chiniot. 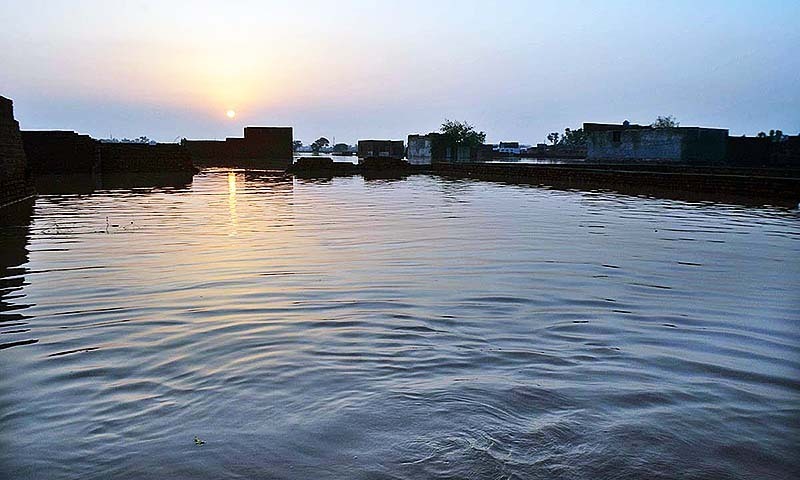 According to a handout issued on Sunday, boats, trolleys and various vehicles are being used for relief activities by police teams who also rescued 5,203 cattle along with appurtenance of the affected people. Similarly, police also provided 3,493 mud bags to the local administration. 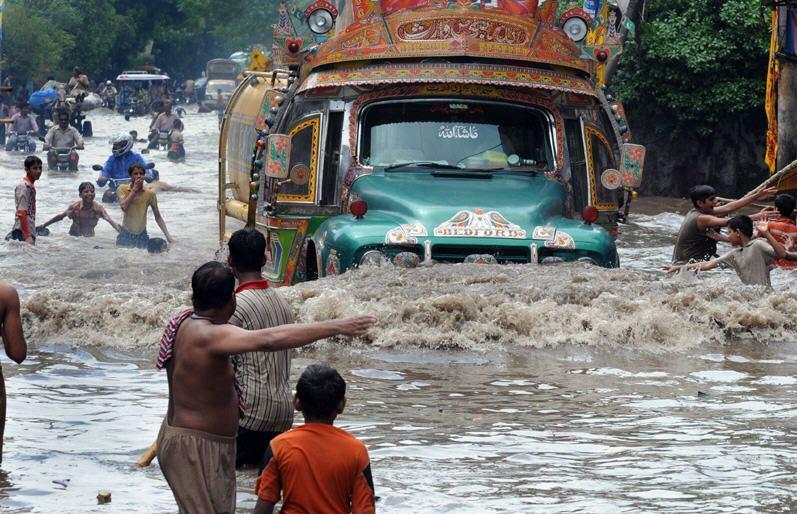 In Gujranwala region, up to 3,102 persons and 1,904 cattle have so far been evacuated by police. 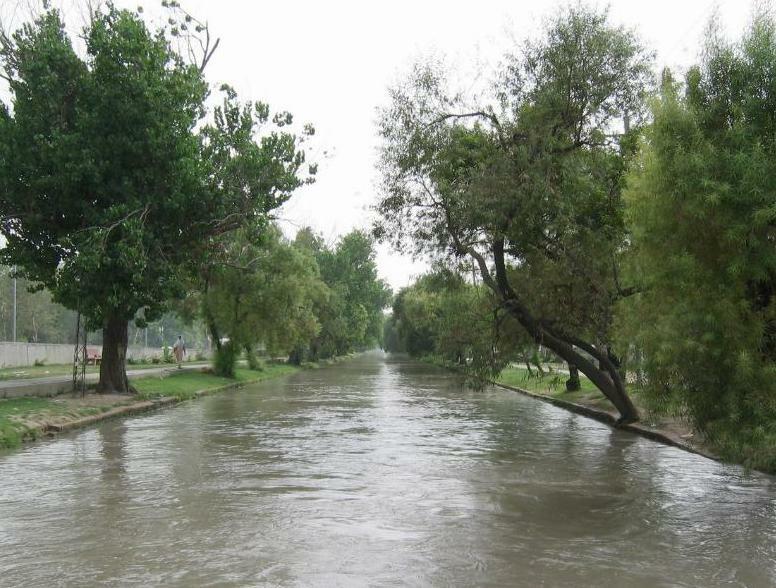 Mandi Bahauddin District Police Officer Syed Junaid Arshad himself rescued a three-day-old baby girl by driving a boat in Qadirabad area of the Chenab river. As many as 2,530 traffic policemen have also been deputed to ensure vehicular movement in the affected areas. 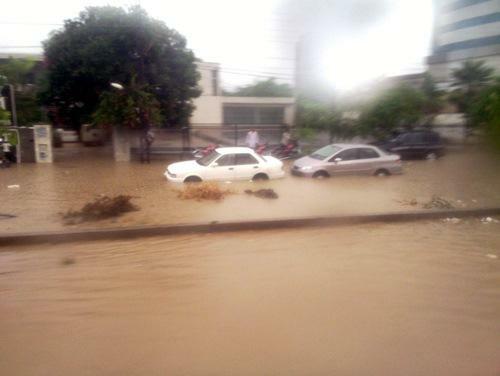 Pictures after the recent bout of heavy rain. 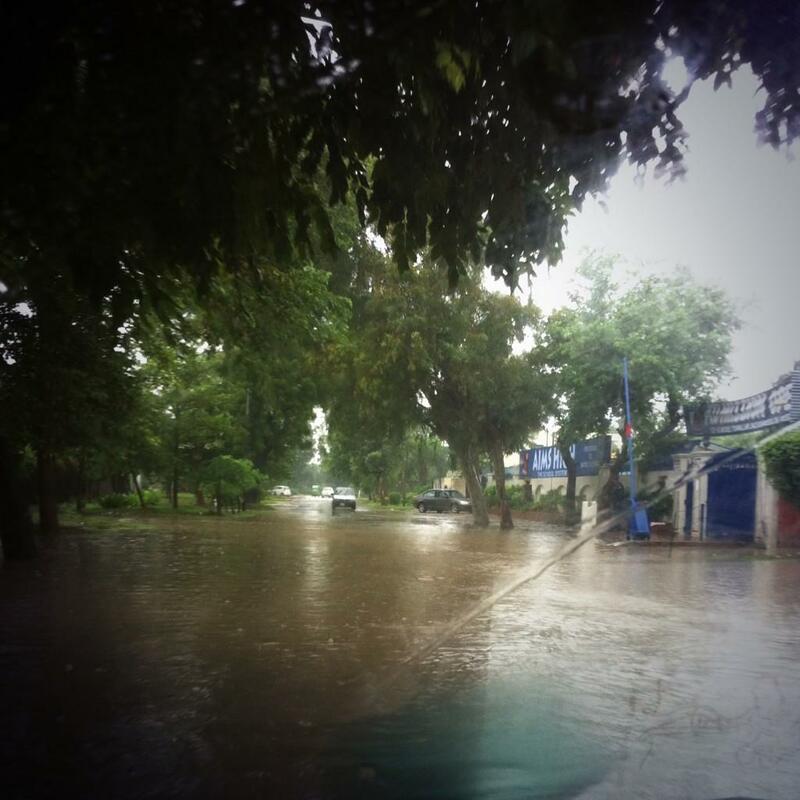 It rained in Lahore for whole last night. Though it was nostalgic to hear the music of downpour in the dark whole but as the day came, the sad reality started to bite. 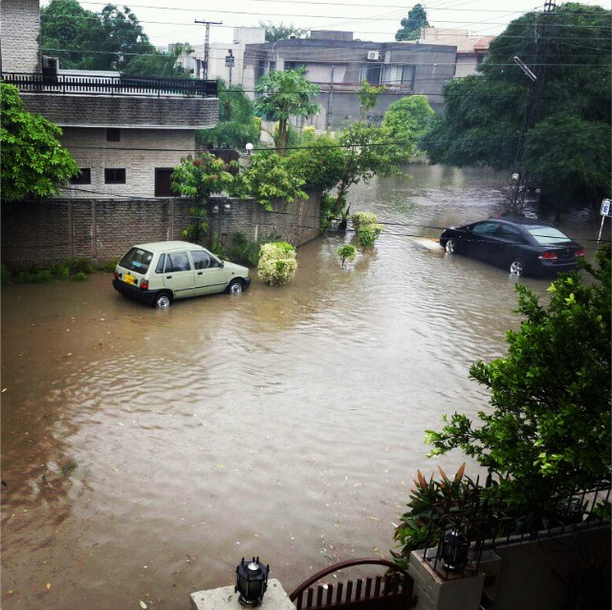 These are some Photos of Lahore from today morning telling the story how last night heavy rain played havoc to the city. 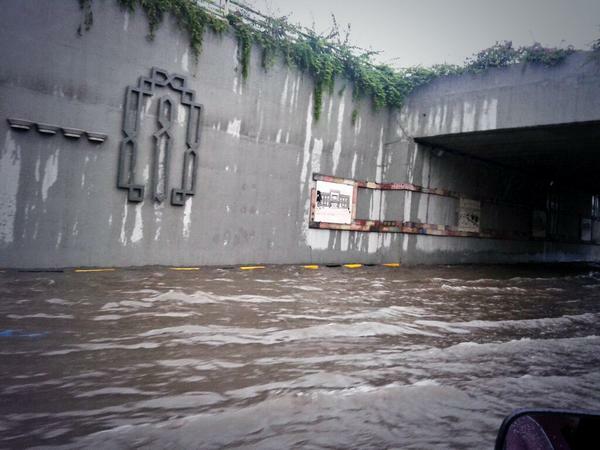 Newly built Kalma Underpass drowned deep under water. 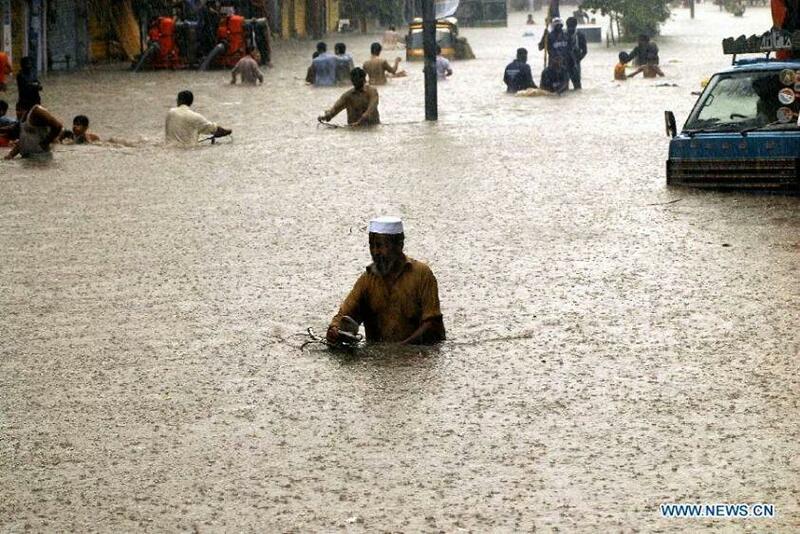 Huge infrastructure built just aside Minar-e- Pakistan but no attention given to sewerage system as usual. 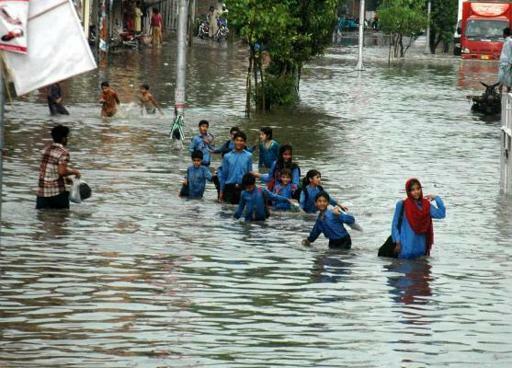 Students going to school in Lahore this morning , too bad they didn’t used metro bus. 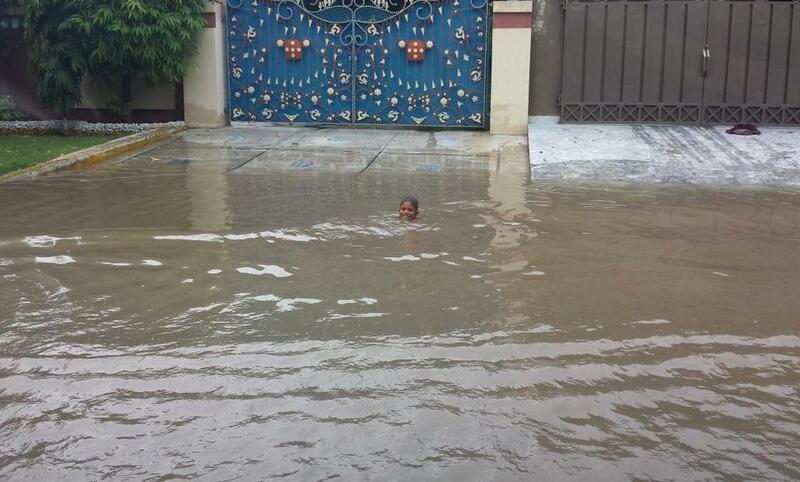 A good use of rain water is to make it a swimming pool, unhealthy though. 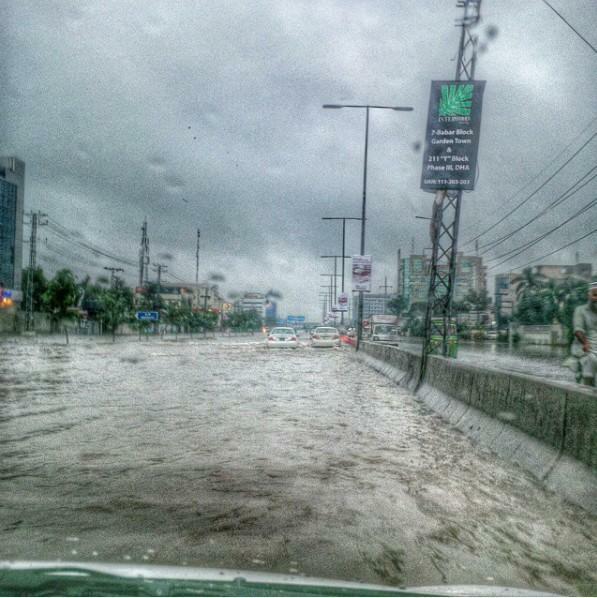 Newly built infrastructure all drowned just because no attention given to sewerage system. 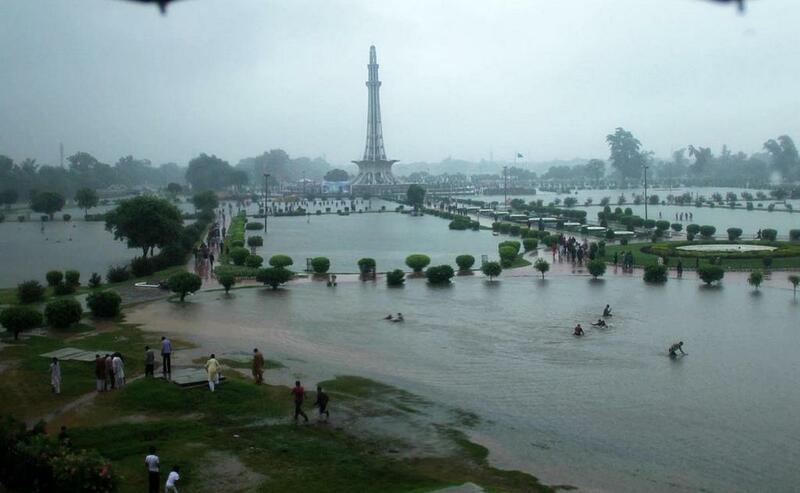 A wonderful view of “Darya-e-Lahore”. 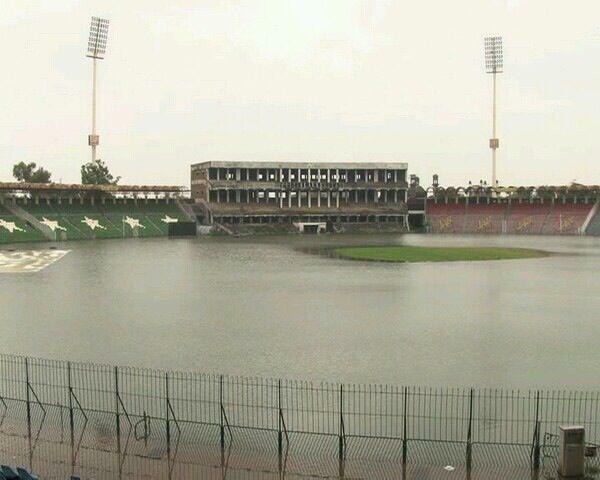 A drowned Qadaffi stadium tells the competency of PCB officials. The bottom line is that it is not the case that there is no need for any new road construction at all. 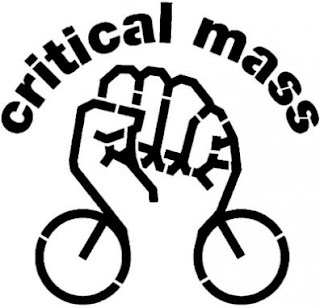 But smart urban growth requires that road construction be integrated into an intelligent plan that is focused on transporting the maximum number of people with the minimum number of vehicles at the lowest economic and environmental cost. 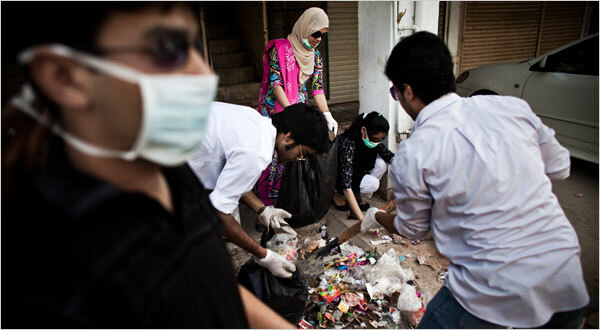 LAHORE: The Parks and Horticulture Authority (PHA) is neglecting hundreds of small parks in different parts of the city.